I know I am not the only person to notice what an enormous increase food prices have seen in the past 5 years. My monthly grocery purchases have been the same for the past few years but the expenditures have been creeping skyward. I have been trying to make adjustments in what I buy and getting back to whole food eating wherever I can. Not buying processed convenience foods takes care of most of the pricey problems, but weather issues and other supply problems can really affect the rest of my grocery budget. I do occasionally come across great sales for food we eat a lot of and I try to grab it up in bulk whenever I can and freeze it. My new favorite trend is whole chickens. When we were growing up, my mother never bought cut up chicken or boneless, skinless breasts. She would only ever buy the whole chicken and cut it up herself. She was an incredible cook and could turn one little chicken into 3 or 4 meals for us…but there was a lot of work that went into it and she used almost every single bit of those birds. I am not as crafty and had gotten into the habit during college and the early part of my marriage of buying the only part of the chicken I liked to eat, which was the breast meat. I didn’t pay attention to it at the time, but buying select cuts like that is really expensive, compared to the same amount of chicken on the bone. It’s almost 4 times more for the stripped down and processed version as it is for whole fryers. So, in keeping with the need to reduce my grocery budget and at the same time make sure my family eats healthy food without a lot of processing, I am really trying to use the whole bird when I cook. I do it at Thanksgiving with a turkey, anyway. This is just a smaller, more convenient version of that. Below is a recipe my family loves, and there is usually enough chicken leftover for my husband to take to work for lunch the next day as well. And even when it’s not on sale, those whole fryers are rarely ever more than $4.00 anyway (total- not per pound). *I use a rub that’s a quick-toss of 1 tsp ground black pepper, ½ tsp chili powder, 1 tsp salt, 2 Tb brown sugar and 1 tsp Adolf’s tenderizer. Wash the thawed chicken in the sink and pat dry. If your chicken has the neck pieces in the cavity, pill that stuff out- you will need it later. Rub the chicken all over with the olive oil and then rub with the seasoning mixture. You can adjust this to your liking. Not everyone likes chili powder or whatever, so use what you like but use it sparingly. Chicken has its own flavor and you don’t want to smother it. I use a beer can chicken mount but instead of beer, I use a half can of ginger ale. Make a tent of aluminum foil and place the tented chicken in a 375 degree oven. In a saucepan, combine 4 cups of the water, celery, neck pieces, garlic, onion, and salt. You can adjust these seasonings as well according to what your family likes, but these are pretty basic and inexpensive. Reserve the last ¼ cup of water to the side…you’ll use it when the chicken is done. Bring to a boil and then reduce heat, cover and simmer for the whole time the chicken is roasting. You’ll need to let it roast for about an hour and a half at least for a 4 or 5 pound bird. After about an hour, take the tent off so the chicken can start to get nice and golden. Use a meat thermometer placed in the dark meat area (near the leg quarter) to make sure your chicken has reached 180 degrees. Once you reach 180, take the chicken out, get it on a platter and cover it completely with foil to ‘rest.’ You never want to cut a chicken or any other meat right after you pull it from the heat as the juices need time to set. Usually 5-10 minutes is plenty. While the chicken is resting, whisk together the potato starch into the last ¼ cup of water. Filter the chicken broth that was simmering to catch all the big stuff like the celery, bay leaf and neck pieces, and then whisk in the potato starch mixture, stirring constantly. Kick up the heat a bit back to medium. Once the broth mixture comes to a low boil, reduce the heat again to simmer. This makes a wonderful low-cal and gluten-free gravy. Slice up the chicken, pull off the legs and use the gravy mixture to spoon over the chicken or any vegees you make. Steamed broccoli is a perfect side dish for this, but mashed sweet potatoes also go nicely and sweet potatoes are not that expensive. Leftovers can go into a casserole with some brown rice and the rest of the gravy mix, or dice up the leftover chicken into an omelet in the morning. This is a great main dish that doesn’t cost a whole lot but is really filling and low calorie- roasting is always better than frying. What are some of your healthy but inexpensive dinner ideas? Feel free to post your comment below and let us know your thoughts. Clear instructions.Just reading the recipe makes my mouth water! chicken is more tastier than other meat & price wise it’s more affordable.Thank you for the recipe! Trying to keep my food costs low, I too like to buy a whole chicken for the very reasons you mention – it makes more than one meal. When I have taken all the meat off, I then use the carcus to make a stock for soup. There is usually some chicken left on the bones and they can be added into the soup since the almost “fall off” the bones when the stock is ready. I just cannot understand how anyone, who considers himself a human being, can eat meat. For example horse beans are VERY inexpensive and extremely healthy. Great recipe.I always pull ALL the meat off the carcass and boil it up with onion, carrot & celery for an hour and use the resulting stock as a base for soup. The "Original" version of Adolf's tenderizer, according to the label, contains 540 mg of sodium per 1/4 teaspoon of tenderizer. Those on low-sodium diets might want to be aware of this. I understand Adolf's now comes in a sodium-free variety, which can be substituted with essentially the same taste results. Thank you for the recipe. Thanks! looks deliciously great! I'll give it to my wife….she's a good cook. you can always go the solent green way……. I do that already…We raise our own chickens and when they are too old to lay, guess what? They are called stewing hens….Tougher than a young chicken , but you boil it and then you get it out of the water (wich is now broth) and you "brown it in the oven for 15 min….With spices, onion and Garlic….The Old hen gives you meat, and broth…Nothing is wasted……Also, you need your protein if you want to be strong and active! Recipe: Chocolate pudding. 2 cups skimmed milk, 4 tablespoons of cocoa powder, 3 packets of Splenda, 3 tablespoons of corn starch. Take 1/4 cup of the cold milk and mix with the corn starch. Warm the milk, take 1/4 cup of warm milk and mix with the cocoa. add this to the milk. Add Splenda to warm milk. Heat milk to almost boiling, add the corn starch mixture slowly to the hot milk and stir constantly til it boils. Boil one minute. Pour into 4 dessert dished, chill. If you are brave, serve it with sugarless whipped cream. Throw all the ingredients into a pressure cooker for about 6 minutes per pound. Super tender, moist, fast and easy. Brown the chicken in the oil first if you like to stare at your chicken before eating it. If you want to eat meat, at least make it an organic,free range chicken. O dear, the poor chicken gets it again. One of the most maltreated food animals in the world. I sure wouldn’t eat one. The recipe sounds delicious and except for two things, we'll try it. 1. Almost no one seems to know that salt that's 100% potassium chloride, sold as a brand called NOSALT, tastes exactly like regular sodium chloride salt. We've had only NOSALT in our kitchen for years now. Potassium chloride lowers blood pressure and makes us healthier. 2. Using an aluminum can or aluminum foil in food prep or storing, puts just a tiny bit of aluminum into the food, which promotes the potential for Alzheimer's disease. I also love to roast a whole chicken. I have a recipe for cooking it in a crock pot, which makes very tender and moist meat. However, you lose the wonderful aroma of a chicken roasting in the oven. I also make gravy the way you suggest, and I agree that it’s great. If I don’t want gravy, I still make it for the broth to be used later (and it freezes just fine). People who insist that Hitler was a vegetarian usually just “heard it” somewhere, and …. But the real story about Hitler and the Nazis is miles from the myth. Even if he had been, what does that prove? Do you have a similar recipe for a chuck roast? Hi Gail, I do prepare chicken alot- keep the recipe coming :)). Dear frends Christian Goodman, Scott Davis, and Shelly Manning. Thanks for sending to me somany letters how to cure our body.I am 80 years old,if not this pills I would be in good condition. I ‘m exesising, lots of walking. But I have fluctuate blood presure, and many more heard, and long not enough air coming in.Last week I resive from USA 5 pages catalog. Where can you buy a chicken for $4.00 these days.You could buy a whole roasted chicken at Walmart for about $8.00 much cheaper than a fresh chicken. It is very interesting to read all the comments, Thanks for their time. Great that you noticed that fact. I figured it out before.. PS. Also saves on the cost of air conditioning caused by oven heat. I would like to mention again. 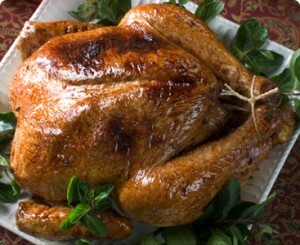 The best way to buy whole chickens is to buy them from the grocery store already cooked.